The purpose of this article is to show you how to process a Refund using your Tyro EFTPOS machine. 1) Create an invoice. (If you are unable to do this, please follow this guide). 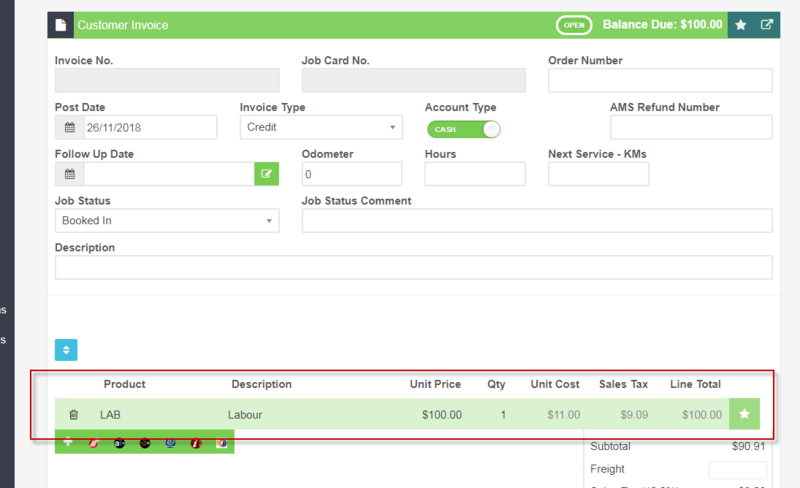 2) Change the ACCOUNT TYPE to "Cash" Please Note: The invoice MUST be a cash invoice. Account type of ACCOUNT cannot be refunded using the Tyro EFTPOS machine. This is because a credit in Workshop Software is allocated to an invoice, not refunded. 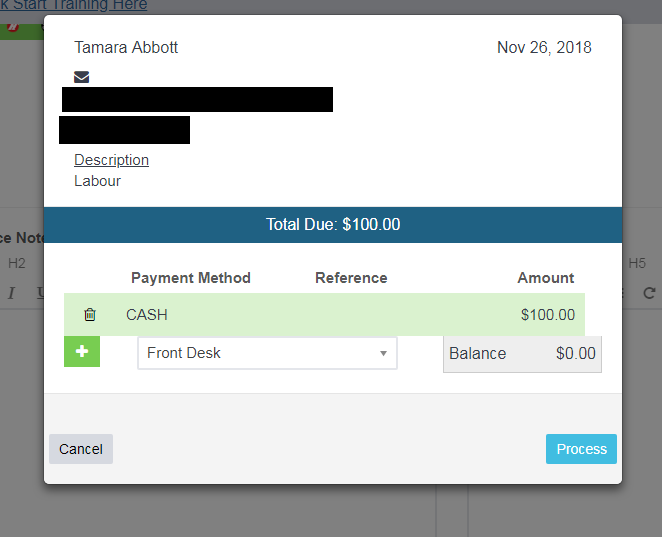 If you want to refund the amount, then do the credit as a CASH invoice. 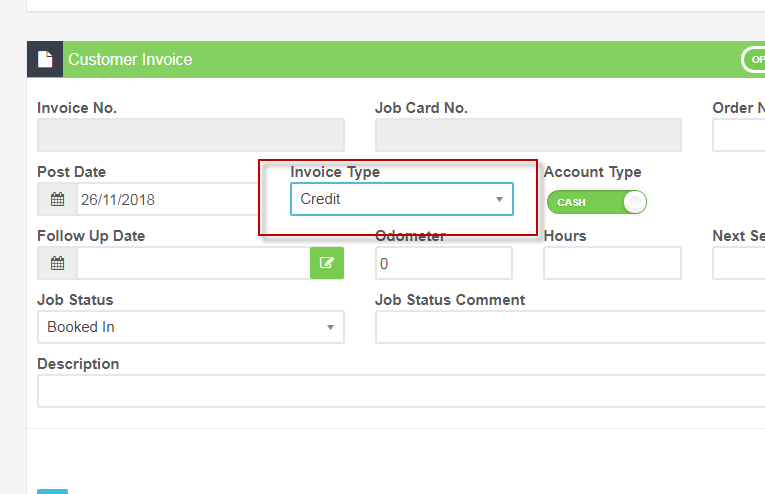 3) Change the INVOICE TYPE to "Credit"
Make sure you have completed the rest of the credit by adding whatever lines you want to add. In this example, I have added a line called "Labour". See the guide above on creating a credit/refund. The cash payment box should come up. 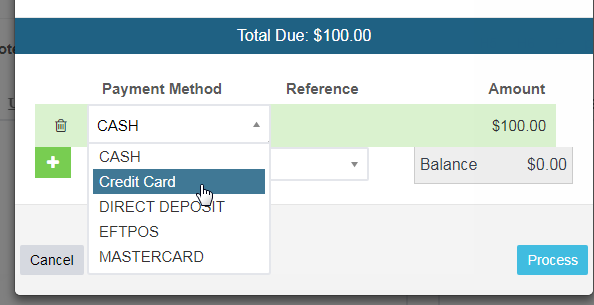 5) Select a payment type which you have set to connect to the EFTPOS machine. 6) Enter the amount you want to send to this machine. It will only send the amount registered for EFTPOS. For Example: If you put in Cash for $100 and Credit Card for $100, and Credit Card is set for EFTPOS, then the machine will receive $100. 7) Select an EFTPOS machine. 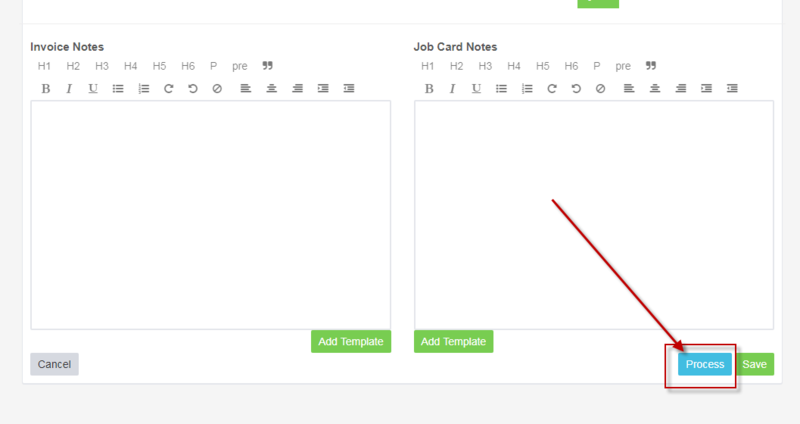 This will be the default for the user or, if there is only one(1), this will be the default. That's it! 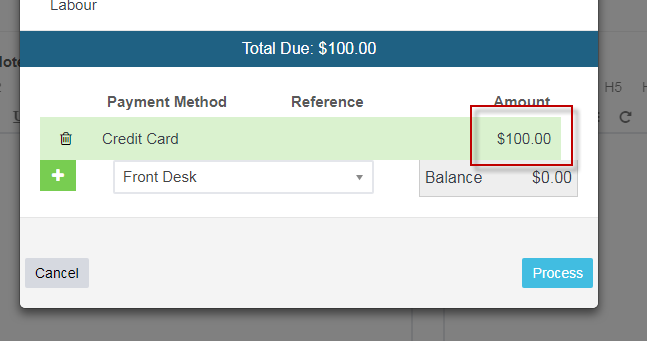 The payment box should close and the credit should complete into a closed status. It will also say that it has been "refunded"